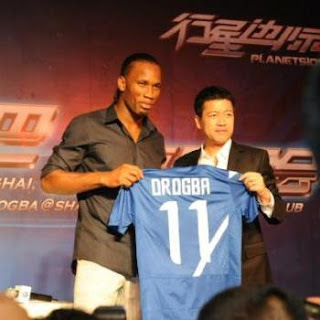 Drogba signed with Chinese club Shanghai Shenhua FC last month. He arrived in China today, July 14th. Biko how do you say 'good luck' in chinese?